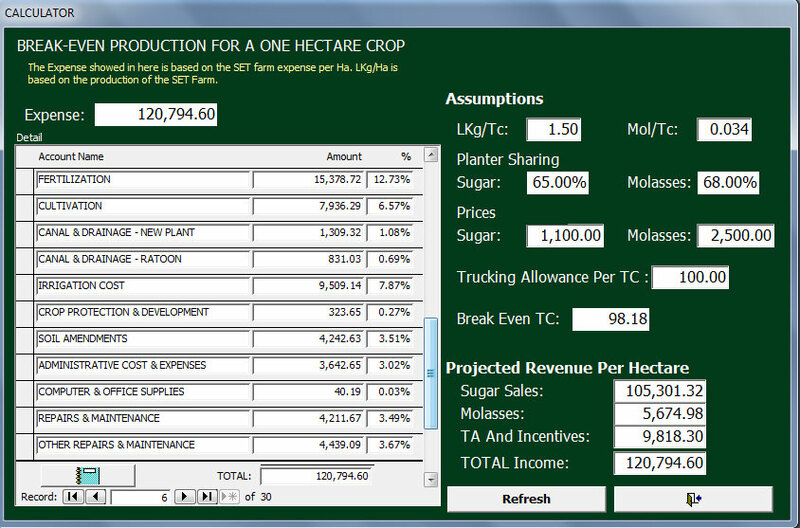 The Crop Year Planner now has a new ROI (Return of Investment) Calculator and a revised Breakeven Calculator for improved planning and performance review. 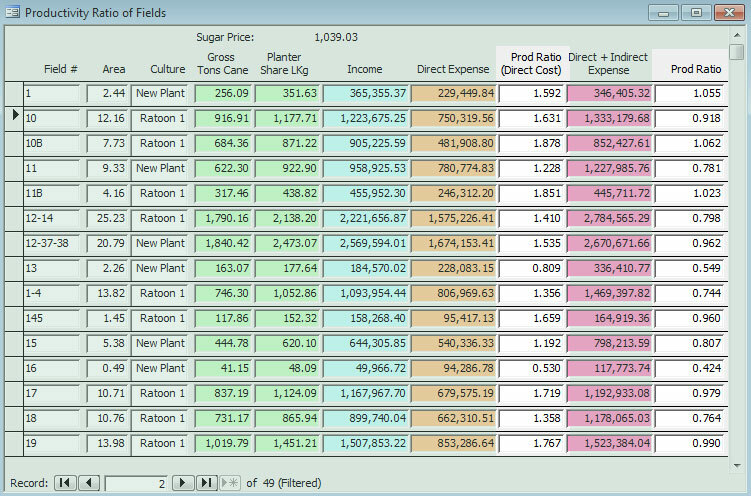 The Break Even Calculator has been revamped to take into account additional sources of income aside from sugar. The cost drill down provides a useful resource management tool. You can what percentage each expense group accounts for in the total cost per hectare. Review individual work activities and materials to identify areas where costs may be cut or where additional expense is needed. The ROI Calculator lets you review farm performance in real time as well as according to standards that you set. Compare the productivity ratio of fields based on direct cost only as well as with indirect costs included. 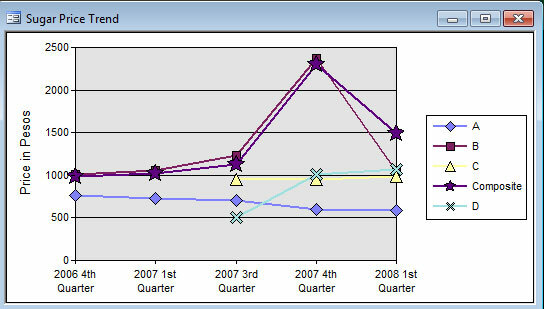 Other features include: price trends, crop year milestones and report of profit and loss. This entry was posted on Tuesday, December 13th, 2011 at 2:39 pm	and is filed under Announcement. You can follow any responses to this entry through the RSS 2.0 feed. Both comments and pings are currently closed.